No Matter How Far Away Joe Is From East L.A., He'll Always Be Ready To Cruise His '77 Lincoln Just Like Back In The Day. 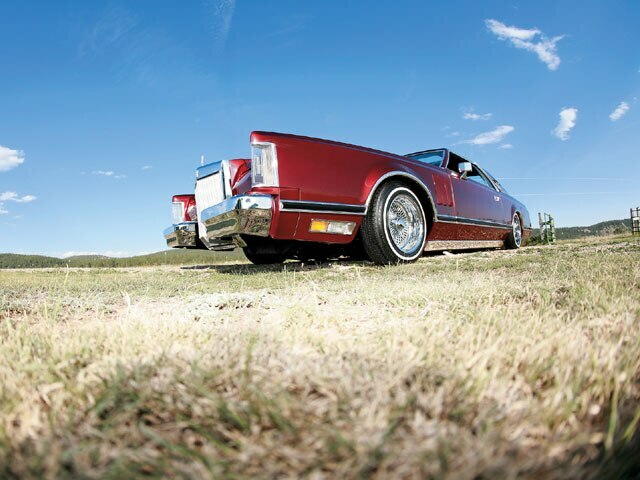 Lowriders from near and far can appreciate the dedication and traditions of the lowrider culture when seeing something and beautiful and cool as Joe Maestas’ ’77 Lincoln Mark V out of Sapello, New Mexico. Where the heck is that, you ask? Have you heard of Las Vegas, New Mexico? Yes? Well, Sapello is pretty much a suburb of Las Vegas, but their idea of a suburb is beautiful fields, farm and dairy land, and rolling hills as far as the eye can take in. There’s a reason why Joe, who’s a retired serviceman from the 101st Airborne squadron, is here. The veteran paratrooper was told by his dad (originally from New Mexico) to get a piece of the land from where their forefathers are from and so he did. 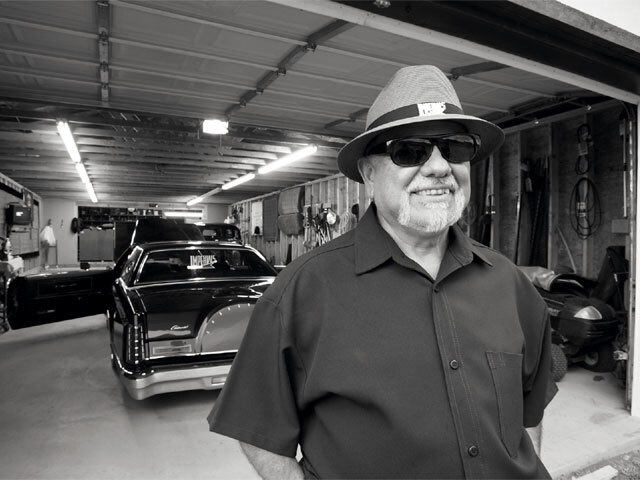 Having grown up in (and living half his life in) East Los Angeles, California, Joe’s lowriding roots go back to the days when he was a student at Los Angeles Trade Technical School where young adults could learn a trade. 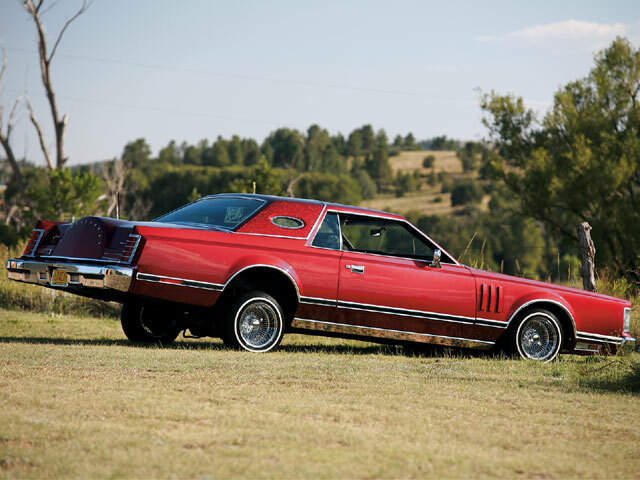 The Lincoln has been through many permutations, from brandywine and candy red paint to gold flake with a red pearl finish; eight different paints jobs, to be exact, including the current wild cherry finish. Joe’s Mark V would also get another makeover for the interior, to keep up with the times. So why is such a beautiful lowrider stuck in the middle of rolling hills and valleys, you ask? Because, as mentioned before, Joe’s pop gave him advice and said to own something of his own, to share with his familia and friends, which include daughter Corina, Ruben, Orlando, Ron, Tony and his fellow Imperials Car Club members. Engine/Drivetrain: Joe wanted his 460-c.i.d. clean and running sweet, so there’s nothing crazy under the hood. It’s like he says: “Who drives with the hood open?” So some mild chrome pieces and detail work is what you’ll find because the real statement is the exterior of this beauty. 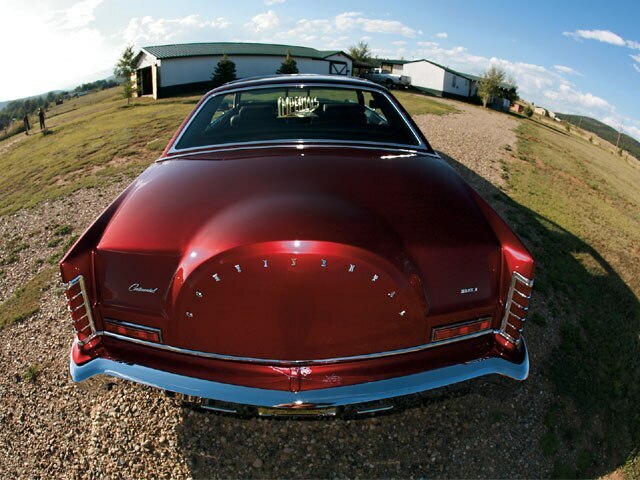 Body/Paint: The car was sent out to Midway Body Shop in El Paso, Texas, where Mario did all of the bodywork and then painted the long Lincoln in wild cherry candy with a metalflake finish. The one cool body mod is right up front where the stock bumper has been split in a symmetric design detail. The murals found on the car are the handiwork of Robert Gonzales from La Tequa, New Mexico. As Joe describes them as “just clowning,” the murals seem to be just the right choice for this ride. The dudes at Electro Plating in El Paso made darn sure that Joe’s car had some of the best chrome and stainless in the Southwest. 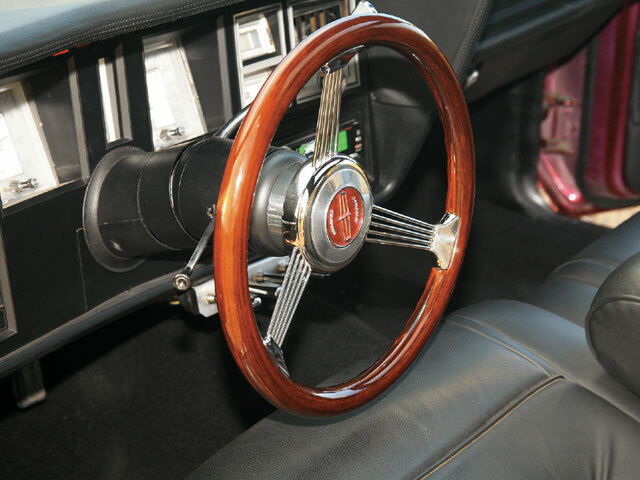 Interior: The beautifully detailed interior of the luxury low is tasty and to the point. Victor from Roswell, New Mexico, worked under the radar as he installed the whisper black material over the stock upholstery. Not messing with a good thing, Joe made sure that the rest of the interior was up to snuff and that the inside was as clean as the exterior. Sound System: Joe himself installed a Sony head unit, 600-watt Sony amplification, Kicker tweeters, stock mids and MTX woofers so that he can listen to his oldies in style. Setup: Being old school and hands-on, Joe did up the hydraulics at home using an OG high-pressure pump hooked up to Delta dumps juiced to four 10-inch cylinders. The springs are stock, but Joe swapped out the stock shocks for something that would do well with the hookup. Plumbed with #8 hoses, the system is powered by four batteries and four solenoids that are wired to a four-switch panel in the cockpit.